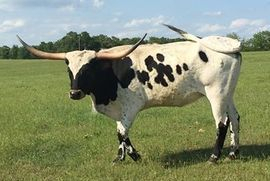 Texas Longhorns are unique in several ways. 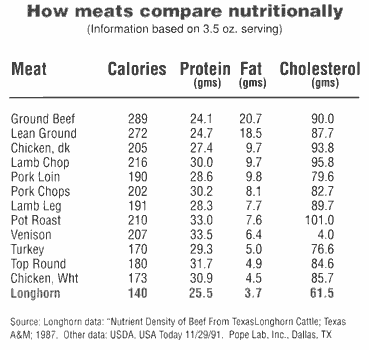 Their meat is very low in fats, saturated fats, cholesterol and calories. They produce truly "heart healthy" beef. They are also extremely hardy and low maintainance including rarely having trouble with calving even in first time heifers. They are also extremely long lived, with some cows producing calves well into their twentys. Jim & Mary Pruett - WynneWood, OK.